This is brand new and never used. Please note the box does have a cut on the side, but the item inside is just fine. This is a handheld face mister. 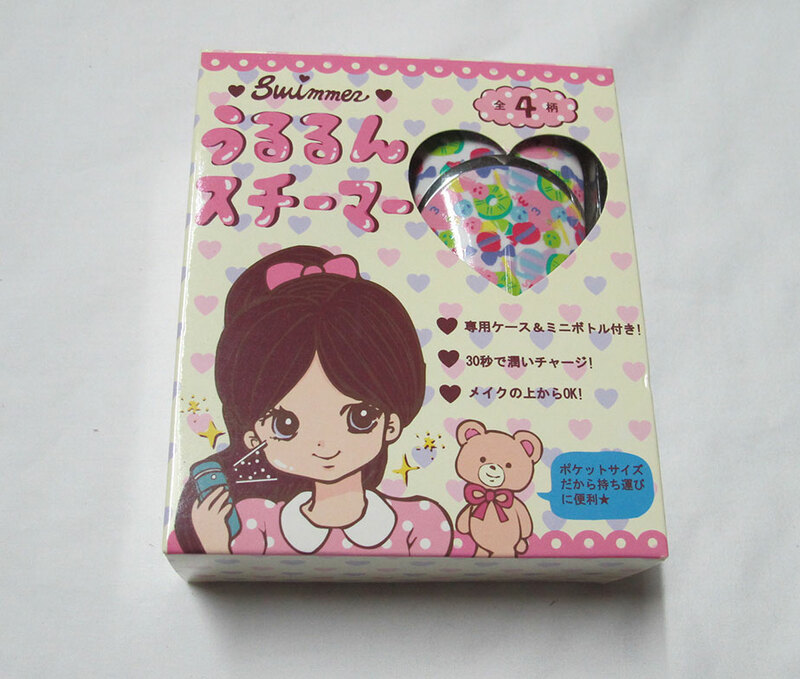 The box has a diagram on the back showing you patterns to use the mister on your face. According the the box, using this to lighlty mist your face will help your make up last longer because the small particles of the mist can pentrate your skin and help keep it moisturized. It says that mositure generally gets trapped at the surface, and as your skin drys out, it causes your make up to break and flake off more easily. 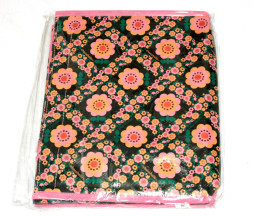 This is small enough to easily through in your purse and it is cute, too! Comes with a bottle to refill it. This is brand new and unused. 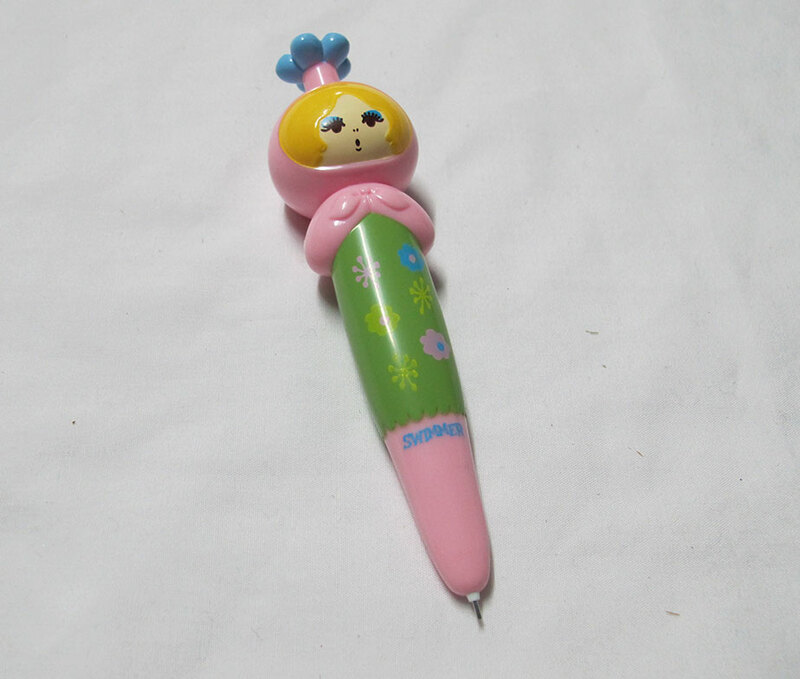 Lead is dispensed by pushing the flower on her head. This item has been worn many times, but is still in good condition. There is maybe a bit of pilling on the tulle of the waist band, but other than that I couldn’t find anything. The waist is completely elastic so it is super easy to wear. 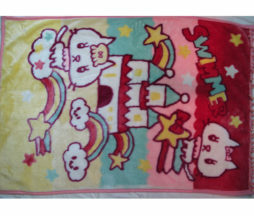 Great cute daily wear piece. 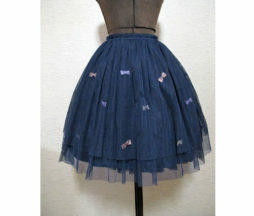 Pastel colored ribbons are placed throughout the layer under the outer navy tulle later. This item has been worn a lot and shows signs of wear and age. There is some pilling in several areas and a little discoloration at the sleeve cuffs. Still a very cute cardigan, very easy to wear casually, which is why I loved it so much! Got some life left in it yet. This item is used, but in good shape still. 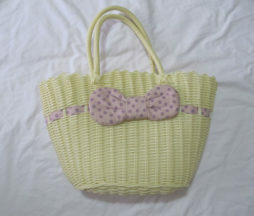 It is a cute woven “basket” like bag from Swimmer in a lovely light yellow color with lavender ribbon detail. 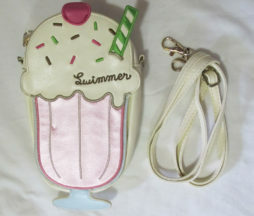 The bag is about 41 cm tall including the handle and 43 cm across, and made from a plastic material that would also make it a cute bag for the beach or a picnic as you can just rinse the bottom off. 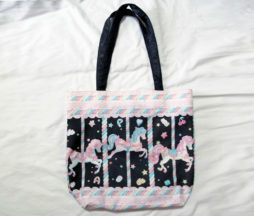 In order for this bag to be shipped via airmail, it might require some folding. Brand new and unused. 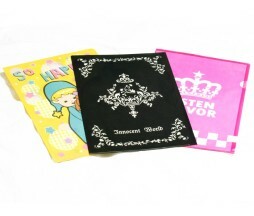 Set of three A4 sized file folders. 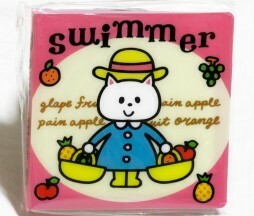 The yellow one is from Swimmer, the pink one is Listen Flavor, and the brown one is Innocent World.